The AlertII is a self-contained system that transmits the tank level data to our web based HarvestWatch(TM) software where it is logged and displayed. You can assign operators who will be alerted if a programmed set point has been reached (high level, reorder point, etc.). You can have the system text, email and/or call up to 24 people notifying them of an alarm condition(s). A rate of rise and rate of fall alarm is available so we can detect if someone is removing liquid or it may indicate the tank or valve/piping is leaking. This provides the information you need to determine if you need to visit the sight immediately to prevent a spill that may require a Hazmat team. 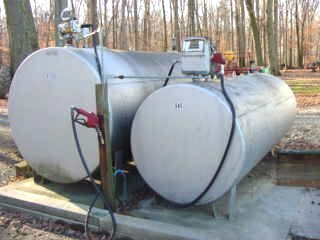 It is a low cost early warning system helping you protect your tank contents and the tank farm environment. The AlertII is a portable wireless cellular-based system connected with up to five (5) measuring sensors. It also keeps track of when, and who received the messages to give the ability to follow up with your staff. Call IAS to learn how you can take more control of your farm’s tanks now.